We are the shopping centre near you that offers everything you need. Running along Pascoe Vale and Wheatsheaf Roads, the Glenroy shopping precinct is perfectly located for those close by and just a short train ride away for those from afar. 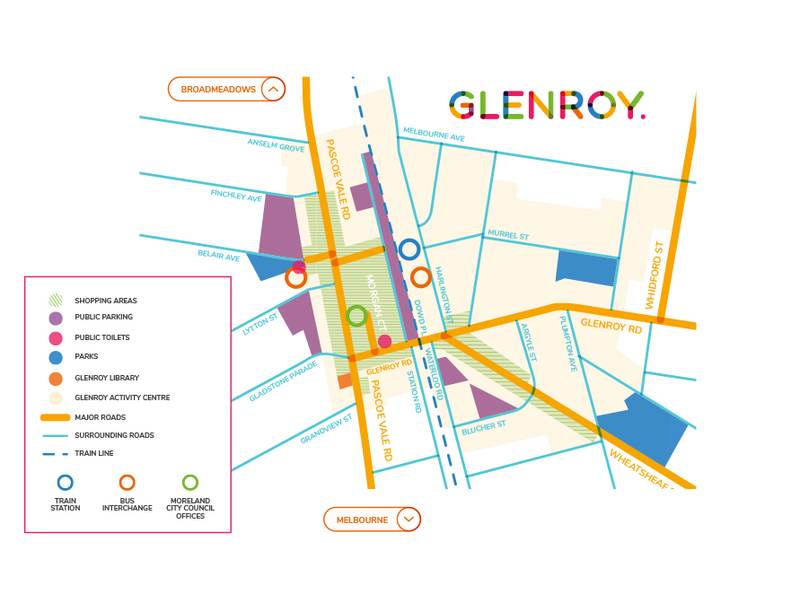 Only 14km from Melbourne CBD, Glenroy is a vibrant multicultural place that welcomes everyone to enjoy the wonderful local shops, café’s and services open for business. Parking Overstay Devices are operational in most car parks (including on street parking) in the centre. Observe signs carefully.